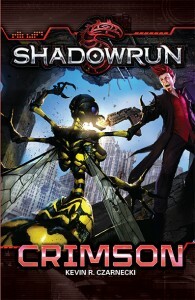 The following Shadowrun books are on the upcoming schedule (in no particular order). 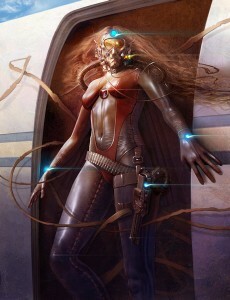 When we have street dates and previews, those will be posted to the blog page. Red begins piecing together what had happened during his lost time–and who put him under in the first place. But as he journeys through the neon-drenched ruins of Chicago and its augmented facades, Red uncovers an even larger plot involving eldritch forces seeking to invade from beyond our reality. He teams up with the few allies he can trust–Pretty, a beautiful ghoul, and Slim, a hacker extraordinaire–as they head into the middle of multiple schemes and power players surrounding a dangerous new conflict threatening to shatter the uneasy peace into all-consumings chaos. 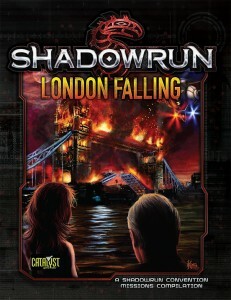 London Falling features four adventures for Shadowrun set in London. Initially designed especially for gaming conventions, these adventures are now available to all players who want to dive in and see if they can survive the challenges of the Big Smoke. 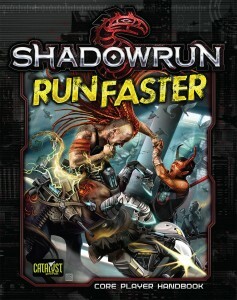 London Falling has stats that allow it to be compatible for both Shadowrun, Fifth Edition and Shadowrun, Twentieth Anniversary Edition. Dosed with an exotic arcane poison that will kill him in days unless he retrieves a powerful magical artifact, ’Hawk has to assemble a team fast and think even faster, because he’s not the only one tracking down the prize. His team is hardly the well-oiled machine he’s accustomed to: an old friend with major trust issues, an old rival who hates everything ’Hawk stands for, a decker who annoys everyone he meets, a samurai who’s only in it for the money, and a gunslinger who may have her own agenda. With his life on the line and the clock ticking fast, ’Hawk must survive the mean streets of Los Angeles and the magical hellscape of the Australian Outback while keeping his mismatched team from imploding before they finish the job. But when the artifact is revealed to be far more than it seems, Winterhawk is forced to make a choice that could affect the lives of millions—to say nothing of his own. Shadowrunner Katar Hawke knows the score on the streets. Every job is to be executed as swiftly and simply as possible—no muss, no fuss, and with as little help as possible. But when a simple extraction of a seemingly ordinary grad student from a Central American dig goes south in a big way, Hawke has to keep them both alive while he figures out what he’s stumbled into—and how to get out of it in one piece. 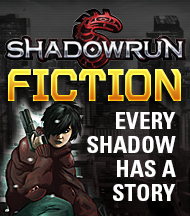 But nothing about this shadowrun is remotely ordinary. The student, Rachel Gordon, has uncovered lost writings that may point to an artifact linking the Sixth World and the long gone, magical Second World. The discovery sets off a lethal chain reaction of feuding megacorporations and cold-blooded killers who will do anything to get their hands on her and what she knows. Caught in the hardest of hard places, Hawke must break his cardinal rule and assemble his own shadowrunning team to survive what’s coming at him. But in the end, it all comes down to one question: will he sell out Rachel to the highest bidder, or join her quest to find a true artifact that could change the face of the Sixth World forever? A scared megacorporation does not run and hide in the shadows. Instead it lashes out, swiping with sharp claws, not caring who gets caught by the blows. Many of the megacorps are currently reeling, hit by multiple harsh blows. NeoNET and Evo are dealing with the fallout of the CFD virus, Ares has powerful forces eating it away from inside, Horizon backed the losing side of the Aztlan-Amazonia war, and the Japanacorps are rearing back to take on the world—and each other. 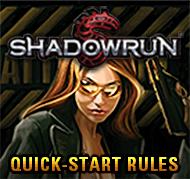 When the corps get aggressive, shadowrunners get called, and blood gets shed. 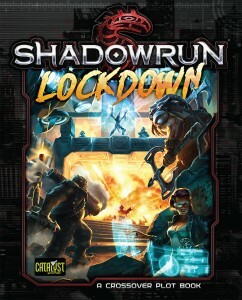 In this campaign book, players have a chance to earn piles of money from the megacorps, and then use their best moves to survive long enough to collect it. 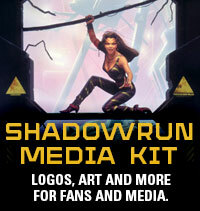 Bloody Business is a campaign book for Shadowrun, Fifth Edition. The Battle of Manhattan is the third in the Boardroom Backstabs series of adventures; includes stats that allow it to be compatible for both Shadowrun, Fifth Edition and Shadowrun, Twentieth Anniversary Edition.